Researchers from Cardiff University have created the world’s first synthetic, non-biologic vaccine. The non-biologic influenza vaccine, which can be delivered orally, could herald a revolution in vaccine delivery. Stable at room temperature, the new type of vaccine, which could be given in pill form, does not require refrigeration – a process that can account for most of the cost of delivery of many current vaccines. Vaccines that do not require refrigeration can be transported more easily and are more suitable for developing countries where it can be difficult to keep things cool. As the first synthetic and stable vaccine, the new form of preparation was made in a very novel way, by using ‘mirror images’ of the protein molecules that make up life. Standard vaccines usually work by introducing a safe form of a germ, or a harmless part of that germ (often proteins) into our bodies. These foreign proteins stimulate our immune cells which then remember it and launch a stronger attack if they encounter it again. Normal germs or proteins would usually be digested if eaten. The new work shows that stable ‘mirror image’ forms of parts of such proteins can also induce a protective immune response. These ‘mirror image’ molecules cannot be digested, opening up the possibility for stable non-biologic vaccines to be supplied in pill form. Professor Sewell explained: “The carbon molecules that form all proteins on Earth are left-handed molecules, but they also have a non-biologic, right-handed form. Even though these two forms of a molecule look identical at first glance they are actually mirror images of each other, just like our right and left hands, and cannot be superimposed on each other. The left-handed forms of proteins are easily digested and do not last long in nature. The unnatural, right-handed forms of these molecules are vastly more stable. This new work provides proof-of-concept in a laboratory setting. A lot more research will be required to develop such approaches for the entire population and other diseases. 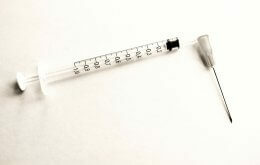 It is likely to take several years before a non-biologic vaccine could be tested in humans. The Research was funded by Wellcome and BBSRC and is published in the Journal of Clinical Investigation. Why Is Whooping Cough on the Rise?